When a client approaches me to create a custom-made garment, the first thing I always ask is ‘what do you love wearing?’ This is a question that really encourages the woman to think about what kind of clothing she loves, what she feels comfortable in and what looks good on her. Most women have an answer to this and the ones who don’t, give me the chance to guide them on the road to discovery…. It is important to choose hues that will enhance the natural colouring of the woman and fabrics that compliment her curves. I want the woman I dress to feel like she’s the finest version of herself; to feel like she can dance and laugh, allowing bright colours and soft fabrics to make her feel happy, alive and free. This is my message this season. Think about YOU. If you feel fed up with buying a different dress for each event, affair or wedding, then find your favourite black dress, throw on your brightest Saz shawl and your outfit is suddenly transformed- you have ‘springified’ your black dress- who knew it could be so easy! For those of you who want to take it a step further, I am in full swing making custom-made garments this wedding season. If you’re craving something different, especially if you do not know what it is, I will do my best to design my way into your heart and create something truly you. Contact me for details. 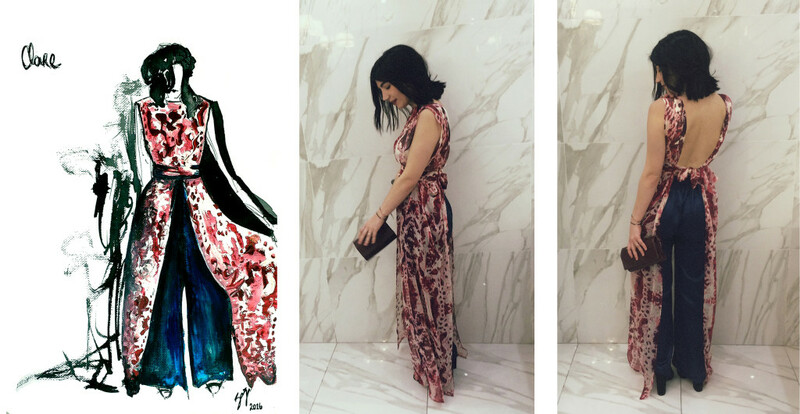 Clare in a silk chiffon dress in Saz’s Maltese Rose print and midnight blue silk satin palazzo pants. 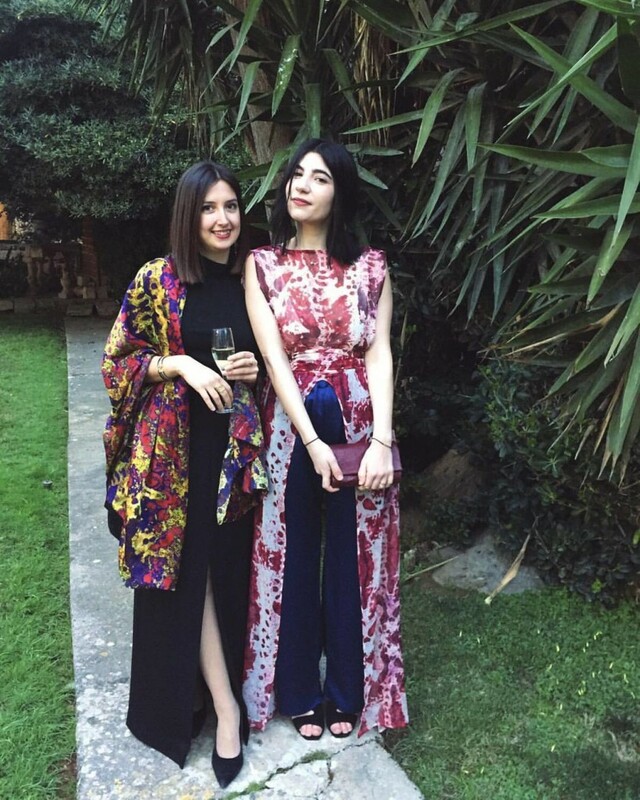 Annie wearing a silk satin shawl of Saz’s Antique Jewel print. Clare in her Saz Mifsud silken dress and trouser combo. 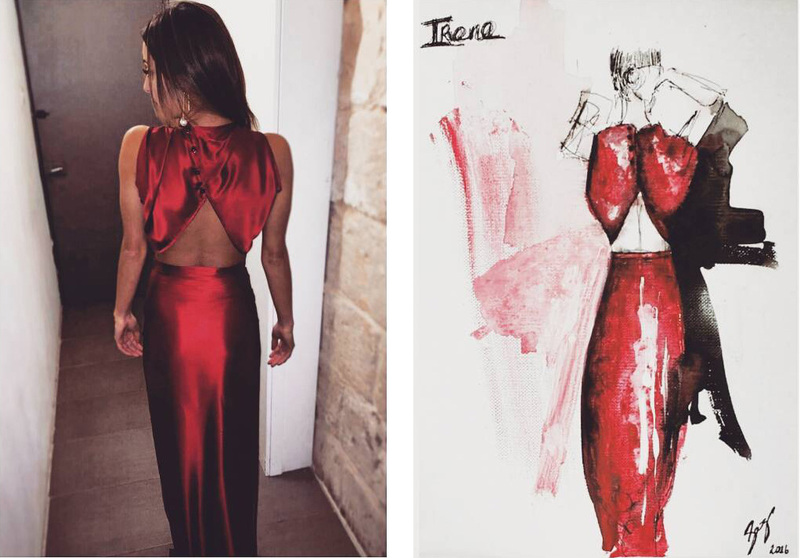 Irene in a silk satin top and skirt of rich scarlet. 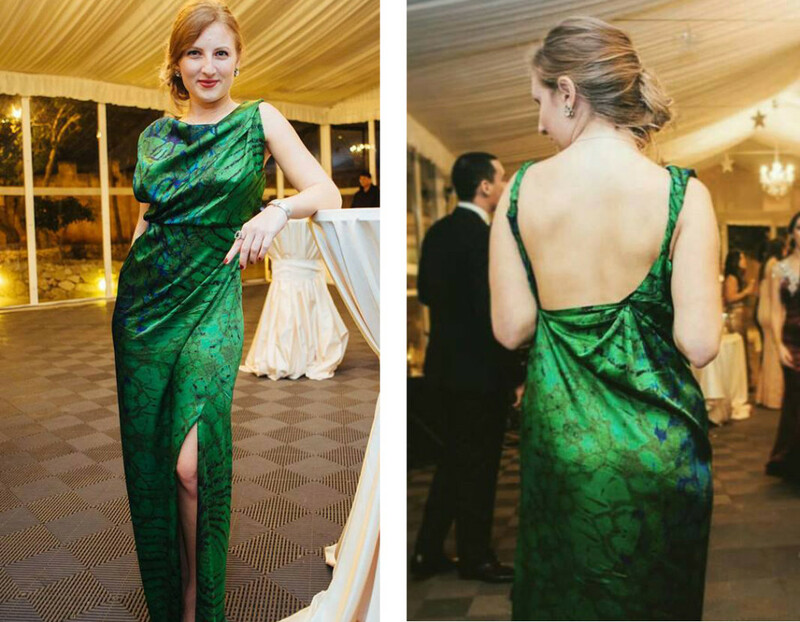 Nicola in a silk satin draped dress in Saz’s Viridis print. Irene in a silk crepe satin dress with plaited straps. 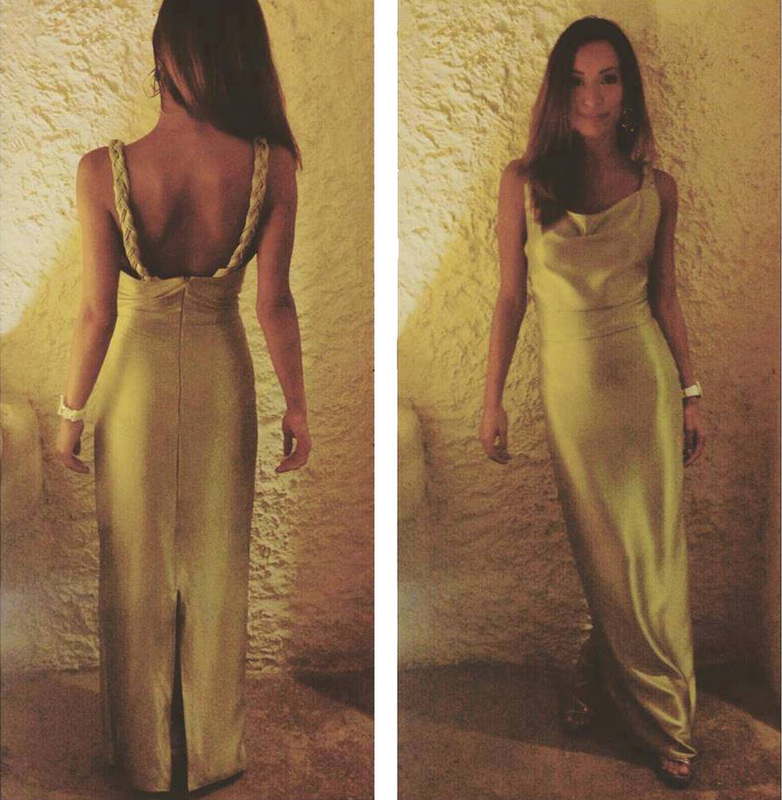 Tami in a silk crepe satin dress with a dramatic drape at the back. This entry was posted in What We Love. Bookmark the permalink.